Part 1: The Diagonal Showy Decrease. I’m finishing up six patterns that use the Showy Decrease in new ways. As always pattern writing takes two to three times as long as the knitting, but here’s a sneak peek at a hat that’s coming soon. See the lovely raised lines in the eyelet ribs and the swirled crown shaping? I get a lot of questions about knitting the Showy Decrease, so before the new patterns are published I’d like to make sure you’re all on board with the basics. I belong to the San Diego North County Knitters Guild, a wonderful group with over 300 members dedicated to all things knitting. They knit a vast number of charity projects for both kids and our military heroes every year. 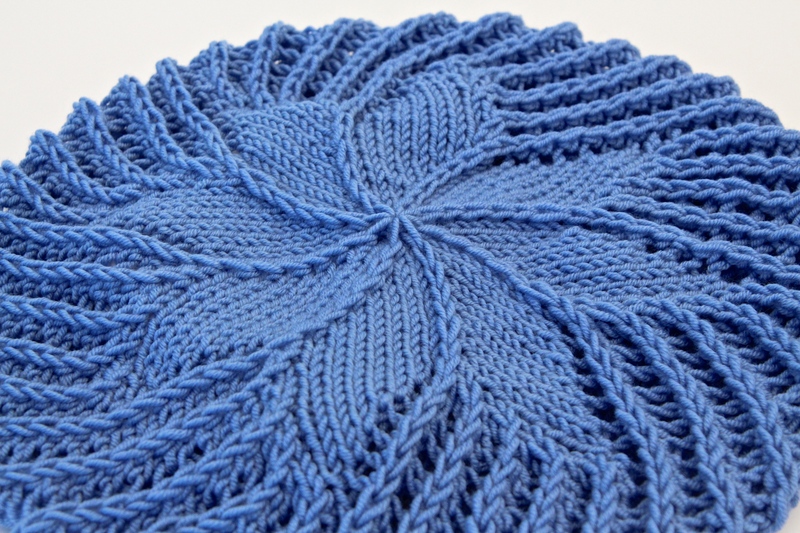 An astounding 150 knitters attend each of the monthly meetings. There’s really nothing nicer than surrounding yourself with an entire room full of knitters. Last week I taught a class called “Fun & Fabulous New Techniques for Hat Knitting” to about 15 members. Yes, I named the class myself, but we did have a fun and fabulous time and I got to meet a number of very nice knitters. Preparing for the class gave me the perfect opportunity to rethink how I teach new knitting techniques. One of the first things we did was swatch the Showy Decrease. Knitting it is very different than just looking at the chart. Swatching is essential because you’ll learn to spot the showy stitch in your knitting. Once you can do this most counting goes away and the knitting becomes much easier. This was helpful to even the more experienced knitters in the class. The key to success in knitting the swatch is to recognize that the k2tog is the stitch that’s slipped on the next wrong side row. Once you’re comfortable with this swatch you can check out our blog about matching right and left leaning decreases. Update: We’ve added 2 new support items. A free PDF download based on the Manchester Scarf and a You Tube tutorial video. There were a number of knitters in the class who weren’t totally comfortable with chart reading. I think chart reading is much simpler in this case because the Showy Decreases create a raised line that is easily visible. I sent this Knitting Chart Tutorial to the knitters in my class to help persuade them that this is indeed the case. 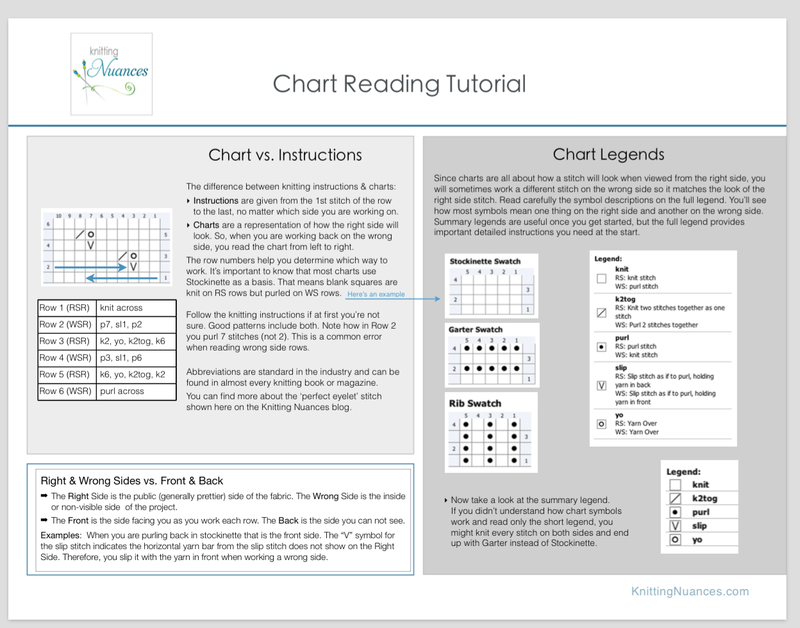 You can download the tutorial here if you’d like to refresh your chart reading skills (or teach it to others). Thanks for making it to the bottom of the post! 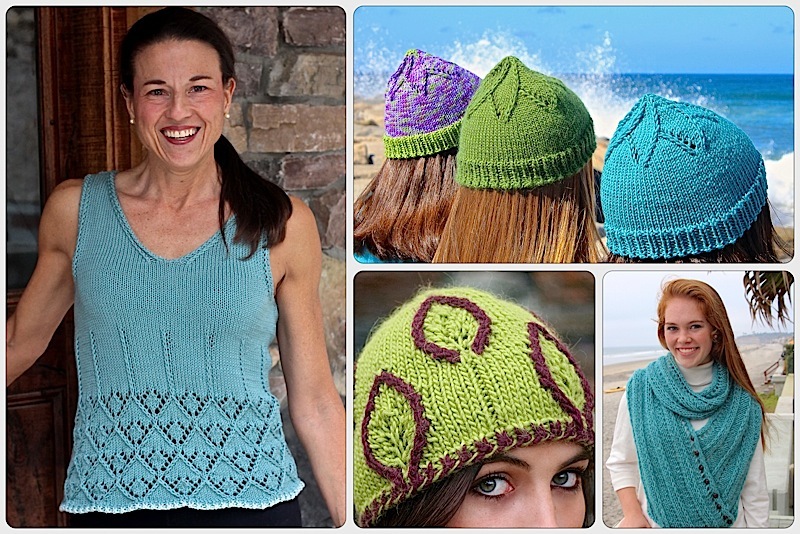 Just for you, here’s another sneak peek that shows why I’m so excited about the new patterns. This bulky rib is one and a quarter inches deep! Hold up your fingers to get a feel for just how deep this is. Understanding the Vertical Showy Decrease is essential for this application so come on back to check out Part 2 of this post next time. Want to read more about the Showy Decrease now? Just click on the Showy Decrease category to the right. You can also check out the free tutorial downloads on our web site and try out our trio of free introductory knitting patterns on Ravelry. The blue hat shown above is now available. You can read about it in this post. I’m so glad it helps. It took me awhile to convert loving charts and I want to help other knitters do the same thing! 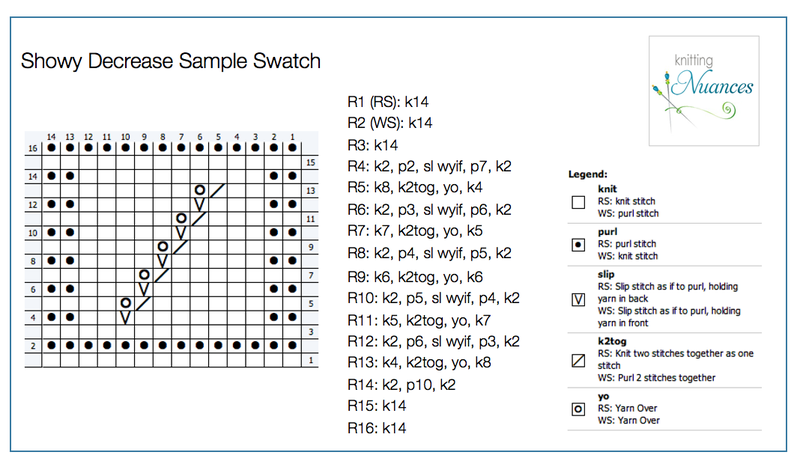 This entry was posted on November 24, 2014 by Laura Cunitz in Nuances, Showy Decrease and tagged Knitting Charts, Knitting Tutorial, Showy Decrease.